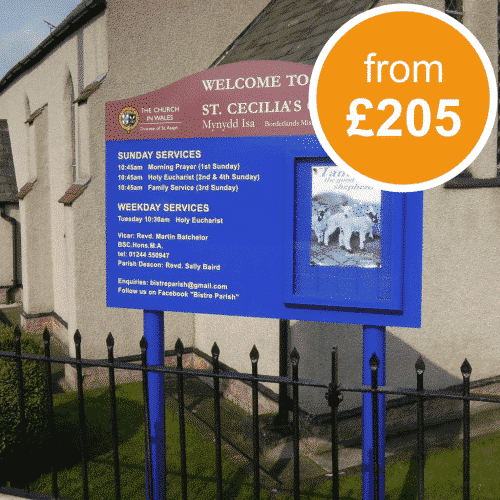 When you need to display notices outdoors, you want to know that you’re purchasing a notice board which best meets your requirements, both in terms of offering the correct mounting solution (wall-mounted or post-mounted) and being weatherproof. 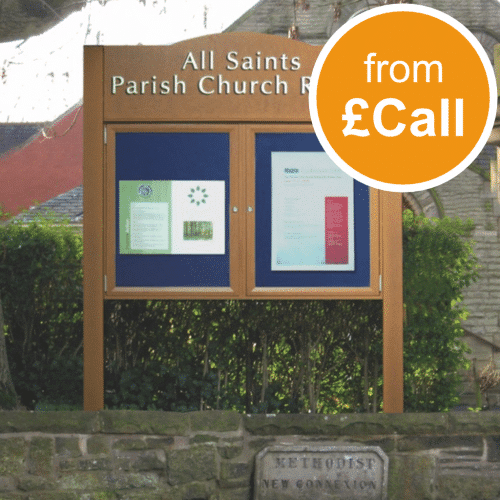 Our extensive range of outdoor notice boards offers you the perfect solution to use outside schools, churches or as parish council notice boards, with all of the options being fully weatherproof and resistant to the elements. Come rain or shine, your notices won’t suffer from weather damage and we even offer a range of lockable notice boards as standard, ensuring that the contents cannot be tampered with. Whatever your budget or requirements, we are confident we’ve got the perfect external solution for you and welcome you to take the time to browse the various products available. Regardless of whether you want to affix to a wall or are looking for a post-mounted option, you’ll find a great range at Noticeboards Online. 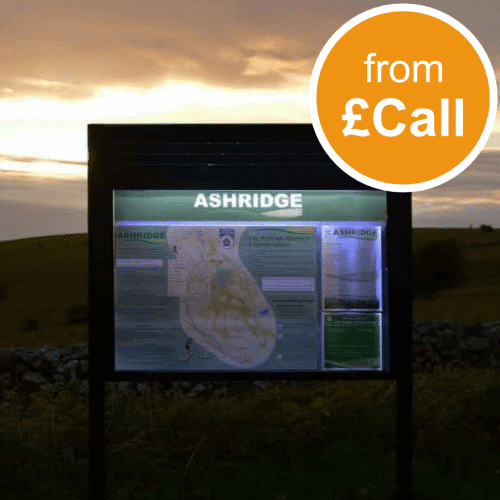 Struggling to find the outdoor notice boards you’re looking for? Give us a call on 01539 628309 or email info@noticeboard.company and we’ll be in touch, only more than happy to help! 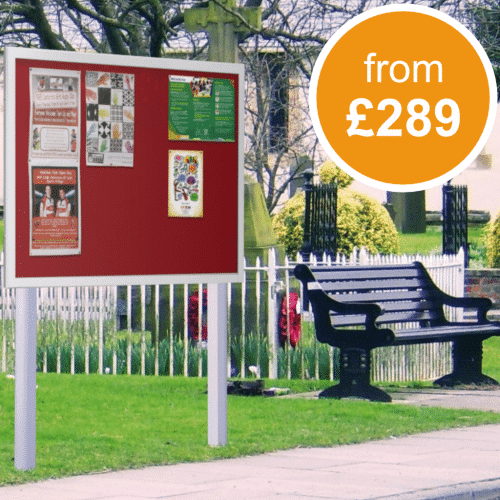 Our huge range of outdoor notice boards includes wall mounted notice boards and also post mounted notice boards. We also have products that can be attached to your own posts or rails! Choose from a wide variety of surfaced including felt, magnetic or groove board for push in letters. 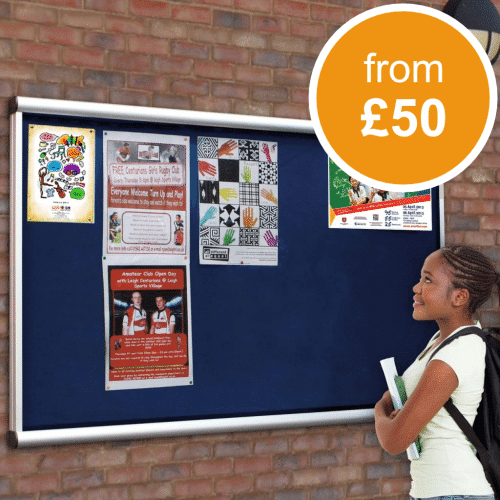 The premium range of noticeboards have a 5 year guarantee with some having a 15 year surface guarantee. Call our noticeboard experts today on 01539 628309 for more information on outside noticeboards or any other display and presentation enquiry. The Scroll range of products offers a 5 year guarantee and many sizes are available in stock for immediate dispatch. Other outdoor notice boards such as the Varicase, Lynester and Stormguard can have the lock at either side or at the bottom when used with a top hinge design. These boards are manufactured in the UK to the highest specification and we are proud to only use British suppliers for the majority of our outdoor noticeboards.